1. 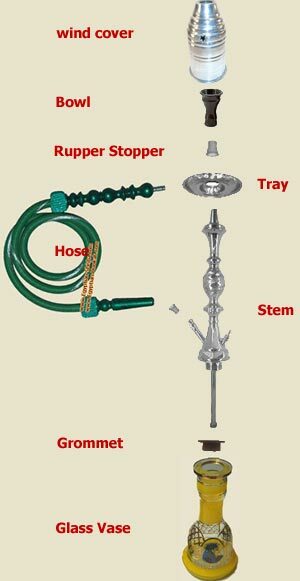 Fill the vase so that the stem of the hookah is submerged approximately one inch in the water. Using ice in the glass is very common; it makes the smoking experience more cool and soothing. You can also try freezing your glass by putting approximately an inch of water into the glass and putting it into the freezer. 9. Lighting coals - If you have instant light Syrian coals or Japanese silver square coals, a lighter will work. For Nour and The Lord Style coals, use a stove or propane torch. Burn the coal all the way around so when you blow on the coal, a red glow covers the entire piece. You can not directly apply flame to the tobacco or use Kingsford BBQ charcoals for the head. A lot of BBQ charcoal gives off too much carbon monoxide which can cause headaches and even death. Use only hookah charcoals please. *If hookah starts to smoke too light, try dropping coals onto tray to clear off ashes. 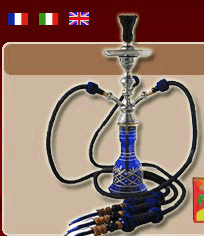 Replace coals onto hookah head.